With expert coaches at hand to help all standards of golfer, the tuition on offer is tailored to suit your particular needs whether you are a beginner wanting to learn how to get started, or have already learnt the game and are now looking to improve your technique. Most of our Tuition Academies are linked with particular hotels, although the La Quinta Golf Academy on the Costa del Sol and the Amarilla Golf School in Tenerife offer excellent facilities and you can stay where you like! The Mallorca Marriott Golf Academy is particularly popular due to its good selection of classes available, although most schools also offer the possibility of individual tuition if preferred. Most of the coaches speak English so language won’t be a problem and it will be great to go home after a week away and show off your advanced skills! Our sales team will be pleased to discuss your personal tuition requirements with you and make recommendations as to which golf school would best suit you. Below are some of our recommended tuition centres. - The renowned La Quinta Golf Academy, under the direction of Manuel Pinero, runs both weekend and weekday courses for beginners and advanced players. - The Alhaurin Golf School’s excellent amenities include an extensive driving range, an 18 hole putting green, a 9 hole chipping green and two par three courses totalling 27 holes. 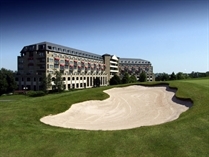 Excellent value 7 night hotel with 5 days tuition packages are available for all standards. - The Atalaya Golf School operates year round weekend and weekly golf clinics with PGAE registered professionals for guests staying at the Atalaya Park Hotel aimed at novices. Very good facilities with video analysis. -One of the most famous names in golf tuition, the David LEadbetter golfing academies are now recognised by many as the leading golf instructors in the world. The beginner to winner school for beginners to high handicapers caovers all aspects of the game over 4 day (8 hours) or tuition. The mini schools offer the ultimate game improvement package for those who need that little extra, with 3 hours tution over 2, 3 or 4 days and they also offer a 3 hour school for you to brush up on your short game. - Excellent teaching facilities compliment the 27 hole Jose Maria Olazabal designed course. These include a 9 hole par 3 executive course, a floodlit driving range, putting green and practice green with bunkers and of course the golf academy. Tuition is available in both a 2 day/6 hour course and a 5 day/15 hour course covering all aspects of your game with a maximum of 6 golfers per golf pro. The excellent Pestana golf school at the Pestana Golf resort comprises of two excellent courses, Pinta and Gramacho. The golf academy has all the up to date technology as well as experience with programmes designed to suit all levels. 3 day and 5 day courses available here. - Next to the Penina Hotel, the Golf Academy has extensive driving range, practice and putting facilities as well as its own 9 hole par 3 academy course. 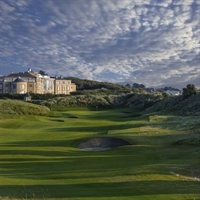 Suited to players of all abilities the five day courses are run in groups of no more than 6 golfers to one teaching pro. 100 balls on the academy driving range are included, club hire if required, a golf trolley per day, video swing analysis, 3 green fees on the academy course and a certificate presentation party. 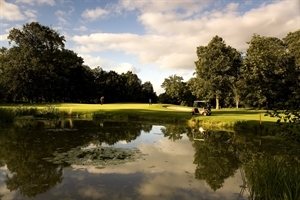 - This vastly improved golf course offers excellent and very friendly teaching facilities. Javier Toll is the head pro at Amarilla Golf and has been a qualified member of the Spanish PGA since 1990 and is a player of the Peugeot Spanish Tour. Three and five day golf tuition programmes are available for beginners through to advanced players including the fundementals of the golf swing; a short game lesson; full swing tuition; bunker lessons; and a game with the pro on the Pitch and Putt course. - A variety of different classes are available at this excellent golf academy for the beginner and the improver over 1, 2 or 5 days. The 2 day Beginners course. The 5 day Beginners course. More advanced players can benefit from a day working on their short game or 2 days on swing training, strategy, chipping, putting and bunker shots. -This school offers a 3, 4 or 5 day beginners course taking you through all the basics of golf from the swing through to putting, chippng and bunker shots in 2 hours per day. Or for the more experience, spend 3 hours per day over 3, 4 or 5 days including time in the driving range and 9 holes. Please call us on 0845 600 3391 for further details and prices on all of out golf tuition holidays.